Ref: CBOWL These bowls are ideal for temporary viewing, medication baths, to observe koi more closely for wounds, disease or defects and photography of fish. 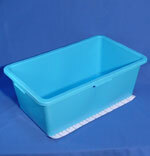 These heavy duty Koi bowls are made from thick moulded plastic and range in size as below. 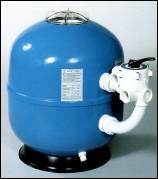 Plastic Inspection Tank 48" x 24" x 24"
Ref: RMTANK27 2 Sizes can be supplied. each can be supplied with or without Cover. Ref: FLTANK Foldaway Koi Bowl Flexible Koi Bowls ideal for if you have no room to store koi bowls. sewn in at the top. Very easy to collapse and erect again.